Patricia Kass joined Kass & Monahan CPAs PC as part time bookkeeper with young children at home in 1984 and has remained with the firm ever since. Patti attended Baruch College in New York City. 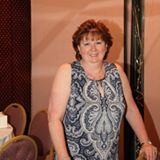 Patti’s bookkeeping responsibilities include payroll, accounts payable, accounts receivable and company record keeping. Patti has spent the last eight years as a central part of the registration coordinating team for the annual Long Island Tax Practitioners Symposium with more than 500 attendees.